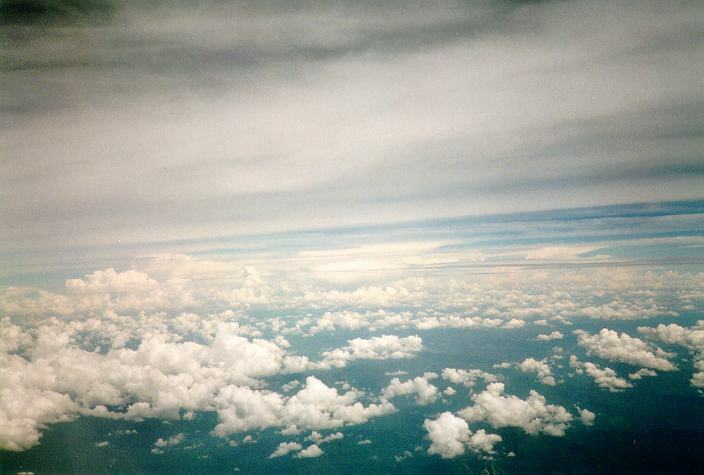 Observing clouds from high altitudes can include observations of clouds above and at the observer's altitude. However, if an observer is located at very high altitudes, namely in high mountain regions or in aeroplanes, the clouds will appear different. In fact, what is observed is the tops of clouds rather than the bases. 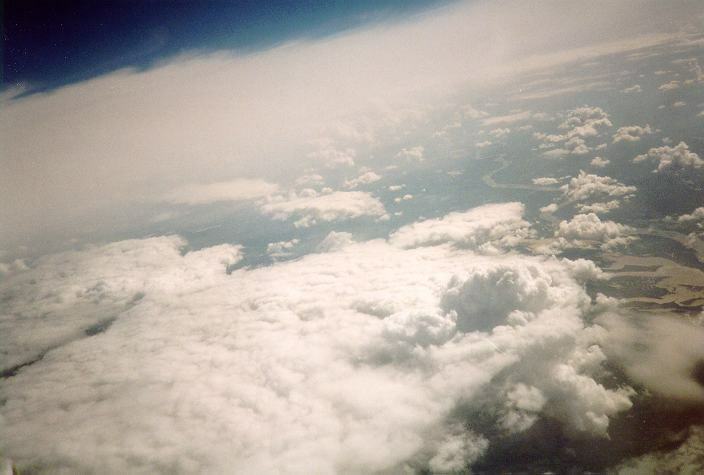 The tops of most clouds once viewed from close range look like cauliflowers or sheets, depending on the types of clouds present. 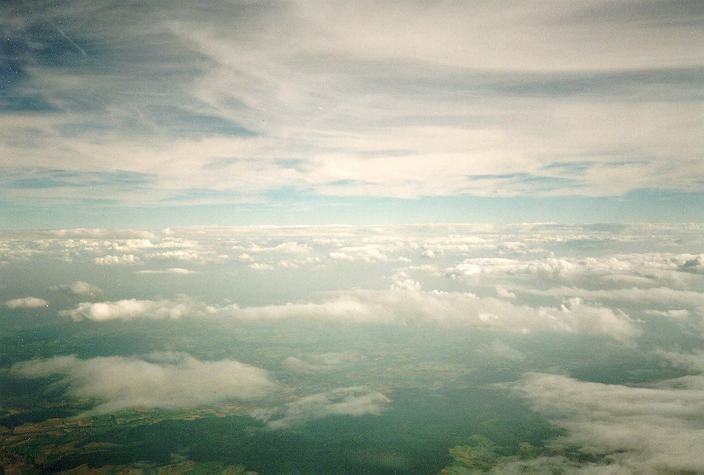 In fact, some clouds are transparent. 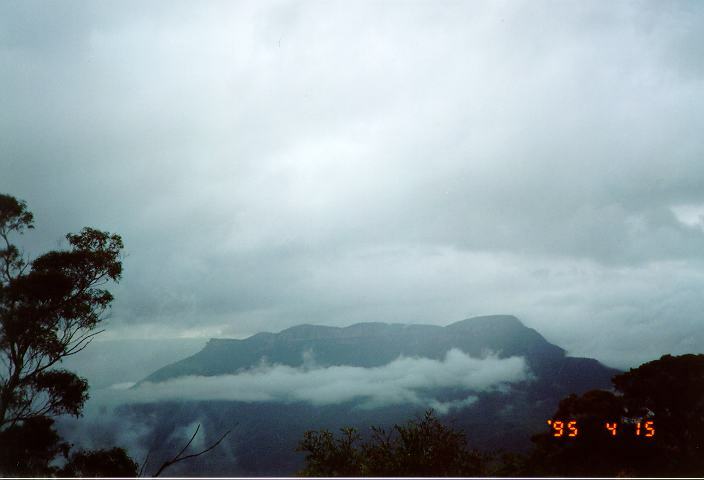 Thunderstorms, which include many layers of clouds, tower well above other lower clouds and can reveal the true dimensions of the heights of such clouds. The highest of clouds tend to be at a level above where aeroplanes travel. 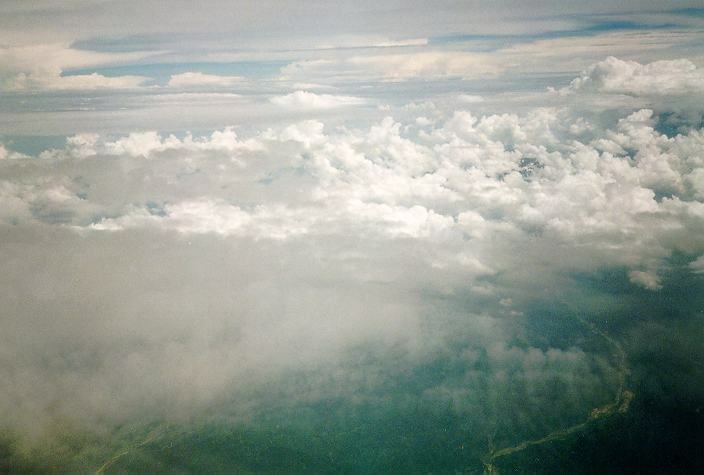 Consequently, an observer from a plane for instance can picture the vast space that occurs between the different layers of clouds discussed later. 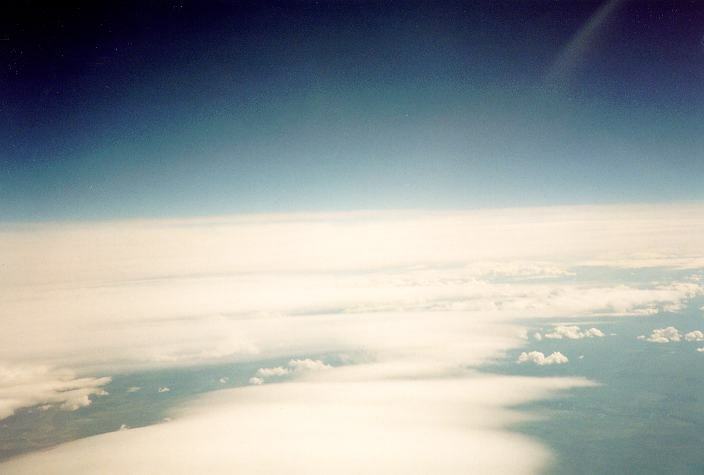 During my visit overseas during 1996, I was able to get the best view of various types of clouds from the aeroplane. Most of the photographs were taken in the trip from Japan to Germany over Russia. There were several other observations I made which would not have been possible otherwise. First, I found that being so high typically at heights of 10 kilometres, the lower the clouds were, the more defined they looked. Now this is the opposite situation observed when on the ground. Normally the lower clouds are the most undefined. Until, I got used to the situation, I kept confusing the altocumulus and stratocumulus clouds. Another situation which obviously differed from ground observations was that the lower clouds were being hidden from view. Remember, that normally the higher clouds are more likely to be hidden from view than the lower clouds when observed from the ground. 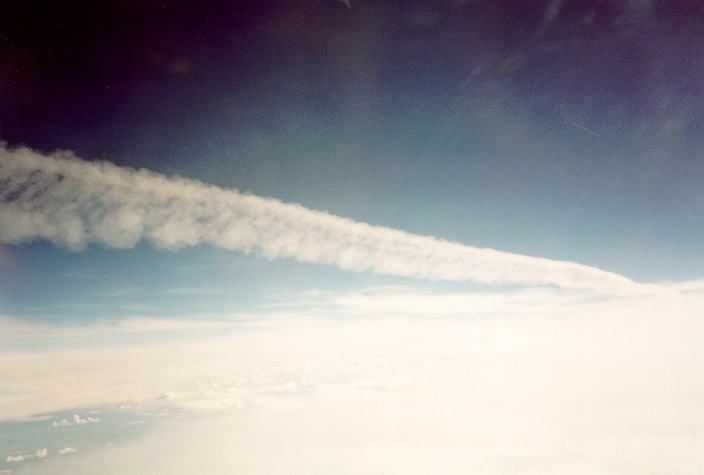 Other interesting features observed were clouds associated with cold frontal cloud bands, lenticular clouds, condensation trails left behind by the exhaust of an aircraft, and most importantly the various heights and altitudes of different cloud types. 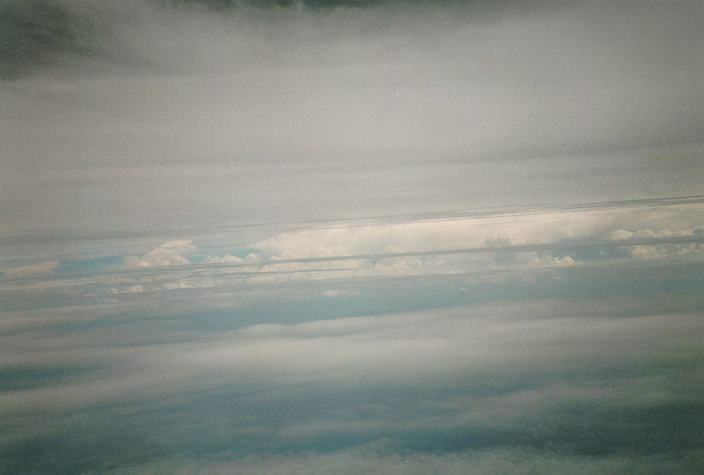 The thinnest clouds were the stratocumulus and altocumulus clouds whereas the thickest clouds were cumulonimbus. The cumulonimbus clouds could easily be seen above the other clouds in the distance. 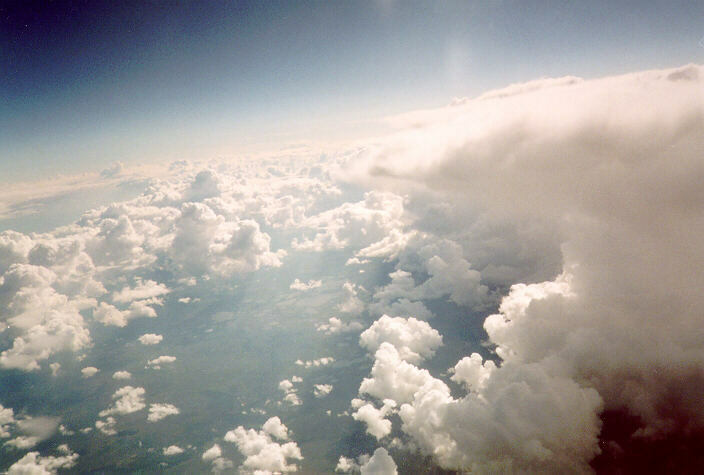 When travelling through clouds, some degree of turbulence was experienced. 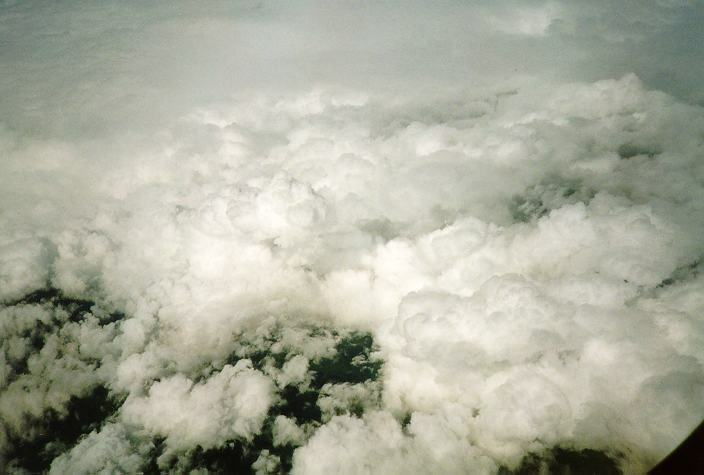 The plane was diverted around or over the thickest clouds such as large cumulus and cumulonimbus because of the incredible turbulence in these clouds.